Across hundreds of acres of flat, windswept farmland in southeast Washington, dozens of acre-sized lots wait ready to host towering wind turbines that will turn nature's power into electricity while turning a profit for farmers, who can still till the surrounding earth. Permits are in hand for this Rattlesnake Flat Wind Project in Lind — about 15 miles southwest of Ritzville — but if construction doesn't start soon for projects like this, the benefits from a major federal tax incentive, set to expire after 2019, could be lost. That means now is a key time to encourage large-scale customers — think utilities or businesses that use a huge amount of electricity — to buy in and contract for power, so the project and others like it can start construction. "I think it's a great time to have a project that's virtually shovel-ready, to be able to find a good buyer to sell the energy to," says Ben Fairbanks, senior director of development for Clearway Energy Group, the San Francisco-based company now behind the Eastern Washington project. "We're optimistic that we'll find the right contract to make the project work." Unlike, say, a Pizza Hut, the actual wind turbines in a $200 million to $300 million wind project like this one won't be built on the assumption the market is ready to buy the power, Fairbanks says. They need customers to sign the dotted line to take the product first. It's taken about a decade, with a few dormant years waiting for the right market, to fully permit the project, which now has the OK to put in up to 90 turbines across land owned by about 25 different farmers, he says. The company already has a power agreement with Avista for transmission for its first 150 megawatts. While overall project capacity is different from the actual power the project can put out, one average megawatt, measured as delivering one million watts 24 hours a day for a year, is enough to power about 800 Northwest homes for a year, according to the Northwest Power and Conservation Council. So this project could provide power for thousands. It will be the second major clean energy project to go in at Lind, after the state's largest solar farm, a 28-megawatt project, opened there in October. A major incentive that helps wind projects like Rattlesnake Flat is the federal Production Tax Credit, which is set to expire for onshore wind projects that start construction after 2019. Essentially, the credit of 2.4 cents per kilowatt hour can be sold to a company with a huge tax burden — say a major bank or technology company — and reduce the amount of taxes they owe, Fairbanks says. Because many wind companies don't have a large enough tax bill to use the credit, they're allowed to sell it, usually for a lump sum, which can reduce the overall project cost and debt, Fairbanks explains. That in turn allows the company to sell its power even cheaper. "It's based on production, so if we don't generate electricity, they don't get a tax credit," Fairbanks says. "To me, it's a pretty productive way to incentivize renewable energy, because most of these projects are in fairly rural areas with little economic development. It's hard to sometimes invest in those areas, just depending on the resources there." For projects that start work in 2019 but go into production in 2020, 2021, or 2022, the credit steps down in value by 20 percent each year, until it completely sunsets. While there've been signs that some Democrats want an extension of the Production Tax Credit to be included in an infrastructure package in Congress next year, there's no promise that will happen. But even with expiration of the credit in sight, it doesn't mean wind projects are going away, says Sean O'Leary, communications director for the Northwest Energy Coalition, an alliance of environmental groups, businesses and utilities in Oregon, Washington, Idaho, Montana and British Columbia. "There certainly has been a scramble to get projects up and going," O'Leary says. "What we've seen is an acceleration in anticipation of that end. Having said that, we're not seeing an indication now that there's going to be a major retreat on wind development." With a recent climate report from the United Nations spelling out just how devastating climate change impacts may be if serious action isn't taken this decade, states and countries are scrambling to act, and Washington's Gov. 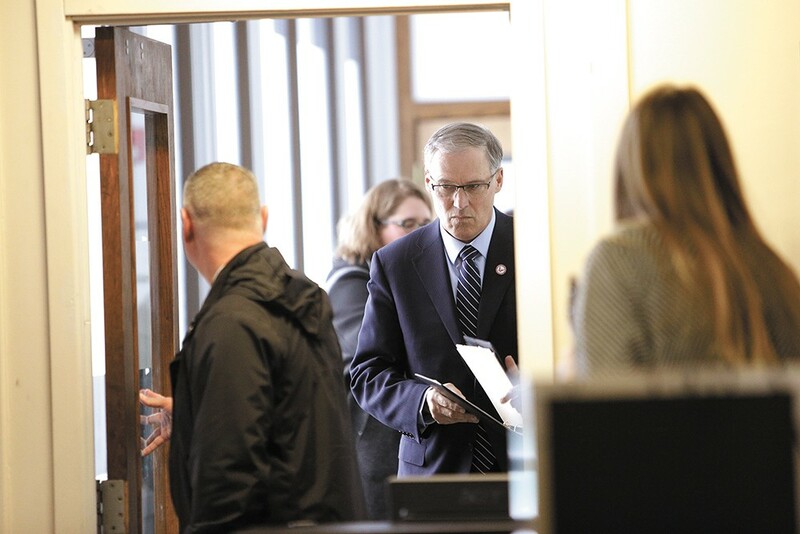 Jay Inslee is hoping to lead the charge. In October, Inslee announced an executive order directing eight state agencies to buy more than 100 million kilowatt-hours of electricity per year from Washington state solar and wind projects by 2021, which is expected to save thousands of dollars per year and reduce emissions by 22,000 metric tons per year, according to the Governor's Office. Then, on Dec. 10, Inslee announced a huge package of climate-focused changes he and his allies will push during the 2019 session. Inslee plans to power Washington with 100 percent clean energy by 2045 and make "aggressive near-term" changes to get the state on track to meet its 2035 greenhouse gas emission reduction goals, which were set by the Legislature in 2008. "We know that more needs to be done. There is a mighty chorus of people demanding climate action," Inslee says during a press conference outlining his proposal. "We know we have the responsibility of this more so than ever, because unfortunately we have climate denial ruling the roost on Pennsylvania Avenue. So we know we have to redouble our efforts to fulfill this destiny." On top of laying out the path to 100 percent clean energy, Inslee's plan also includes investment in cleaner, more efficient buildings, introducing cleaner fuels and more electric cars for drivers, transitioning to electric vehicles for public transportation and eliminating the use of hydrofluorocarbon "super-pollutants" in the state. It's still unclear how much wind may play a role in Inslee's plan, but it has been a major driver of renewable energy job creation in the state in recent years, and it's a safe assumption it would play a role as utilities are forced to transition away from fossil fuels, energy experts say. Still, wind is currently a distant second when it comes to providing renewable power in Washington, where hydroelectric dams provide about 90 percent of the state's renewable energy, according to the U.S. Energy Information Administration. "[Inslee's plan] will have an interesting challenging impact on utilities like Avista just to figure out how to replace that much energy in a short amount of time," Fairbanks says. "But it definitely would create an opportunity for additional renewables." 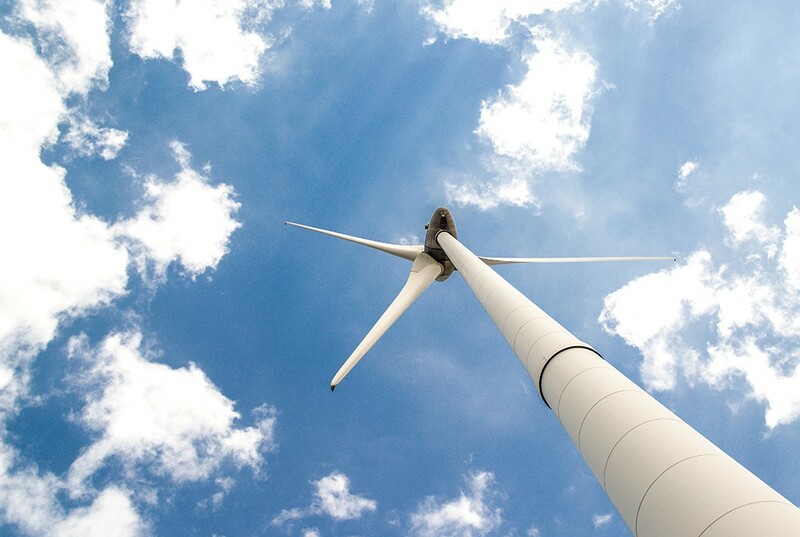 Environmental and renewable energy focused groups especially hope to push for wind opportunities. Importantly, energy analysts for Lazard, a massive investment bank that tracks energy markets, now say that even unsubsidized wind can be competitive, explains O'Leary with Northwest Energy Coalition. "Even unsubsidized wind power is now at or below, in some cases, the cost of natural gas," O'Leary says. "The economics are still very much there for wind in that regard." In areas of the country like Montana, where the coal-powered Colstrip plant that Avista has a stake in is set to sunset within a decade or so, there's an opportunity for wind to step in and utilize transmission lines that are already in place, says Jeff Fox, who works on Montana wind policy for Renewable Northwest. The nonprofit advocates for renewable and sustainable resources. "We've done a bunch of work to ensure wind energy and other renewables, but especially wind, have an opportunity to play in Washington and Oregon's needs," Fox says. In general, Montana's wind power is very, well, energetic — it's some of the best in the U.S., Fox says. "What makes it particularly valuable to Northwest utilities is it has a winter peaking profile," Fox says. "We tend to produce our greatest numbers during the winter months, which tends to be when Washington and Oregon utilities see their peak power demands." That's in contrast with Washington and Oregon wind, which tends to peak in spring, the same time of year that hydro tends to peak as well, Fox says. Coupled with the fact the Production Tax Credit still available to take advantage of, the time is ripe, he says. The original print version of this article was headlined "Fast-Moving Wind"